The impressively armed Forerunner machines known as Crawlers represent the most extensive and abundant native enemy on Requiem. 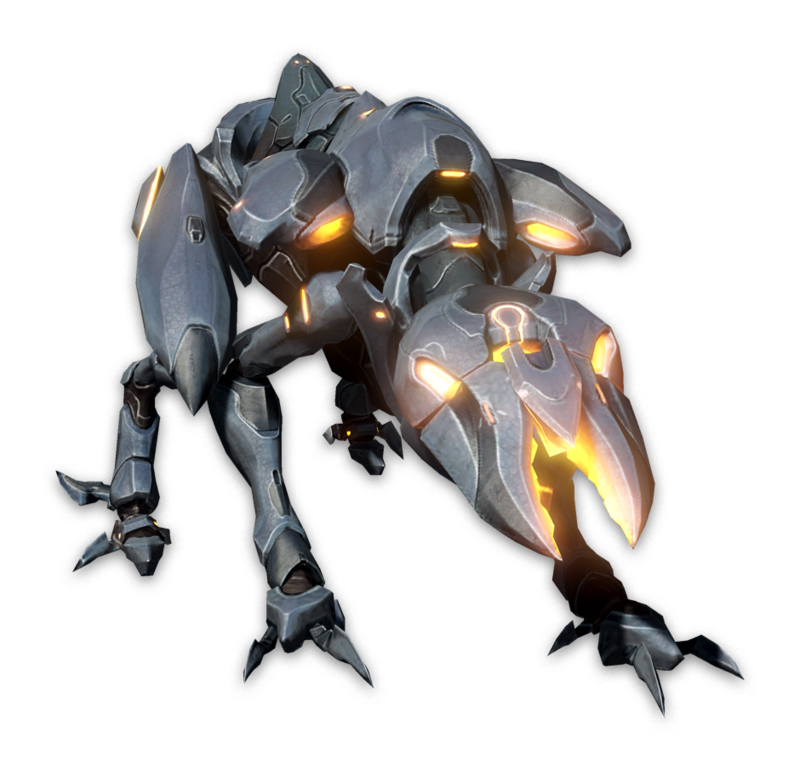 Capable of both close-quarters and long-range combat, Crawlers are aggressive quadrupeds, explicitly engineered to ferociously hunt down and eliminate any foreign threats. It is not uncommon to encounter Crawlers in substantial numbers, as most travel in large packs and work together in strategic coordination to bring down enemies by overwhelming them from every conceivable angle. They represent the most extensive and abundant "native" enemy on Requiem. Crawlers can be spawned by Watchers, who literally conjure the Crawlers' raw forms from the material of the planet beneath their four little feet. While Watchers protect Crawlers, Knights treat them as fodder, relentlessly spawning them at a rapid-fire rate. Crawlers act like a skirmishing unit, harassing the player at the Knight's bidding. While they often fulfill the role of Promethean fodder, not taking a group of Crawlers seriously would be a mistake as they work together in strategic coordination to overwhelm enemies from every possible direction. Individual Crawler types include the basic unit, a more heavily armed unit, and a deadly, long-range unit. The heavily armed variant is tougher than the basic unit and is more likely to charge in and melee attack.